Let us start programming with Concordion. 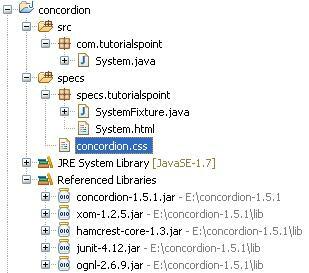 Before you start writing your first example using Concordion, you have to make sure that you have set up your Concordion environment properly as explained in Concordion - Environment Setup tutorial. We also assume that you have a little bit working knowledge of Eclipse IDE. 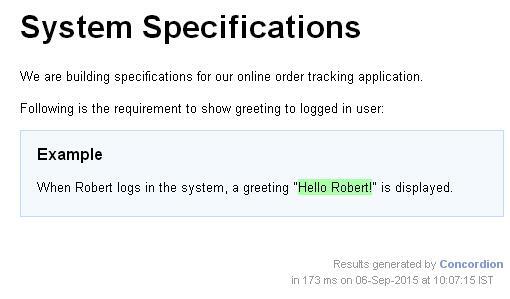 When Robert logs in the system, a greeting "Hello Robert!" is displayed. 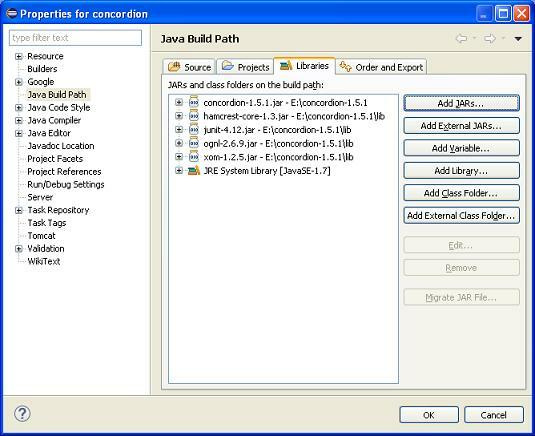 Now use Add External JARs button available under Libraries tab to add the following core JAR from the Concordion folder. Now let us create actual source files under the concordion project. First, we need to create a package called com.tutorialspoint. To do this, right-click on src in the package explorer section and follow the option : New → Package. Next, we will create System .java file under the com.tutorialspoint package. 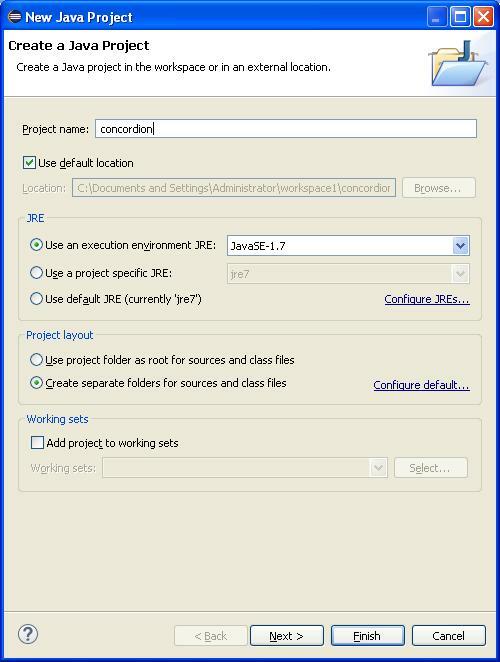 Now let us create actual specification files under the concordion project. First, we need to create a new source folder named specs. This folder will contain specification files like JUnitFixture or test runner and html files which are specifications. Now we need to create a package called specs.tutorialspoint. To do this, right-click on spec in the package explorer section and follow the option : New → Package. Next, we will create System.html and SystemFixture.java files under the specs.tutorialspoint package. Thereafter, we will add concordion.css under specs source folder. System.html is the specification html file that uses the concordion namespace. System.html uses concordion:set command to set a value of temporary variables userName to be Robert. Here, userName is the parameter to be passed to the getGreeting method of System fixture. System.html uses concordion:assertEquals command to check the output of getGreeting(userName) function to be Hello Robert!. SystemFixture is a JUnit test fixture annotated with ConcordionRunner.class. SystemFixture has a getGreeting method that returns greetings to the user. Right-click on the content area of SystemFixture and select Run as > JUnit Test Case. You will see the following output with junit success. Congratulations, you have created your first Concordion Acceptance test successfully. Further, let us start doing something more interesting in the next few chapters.